Salesian Secondary College is located outside the village of Pallaskenry in Co. Limerick. The school campus is owned by the Salesians and shared with Pallaskenry Agricultural College. There are approximately 500 students enrolled in the schools’ co-educational programme, the majority of which travel to the school from other areas of the County and City by bus. 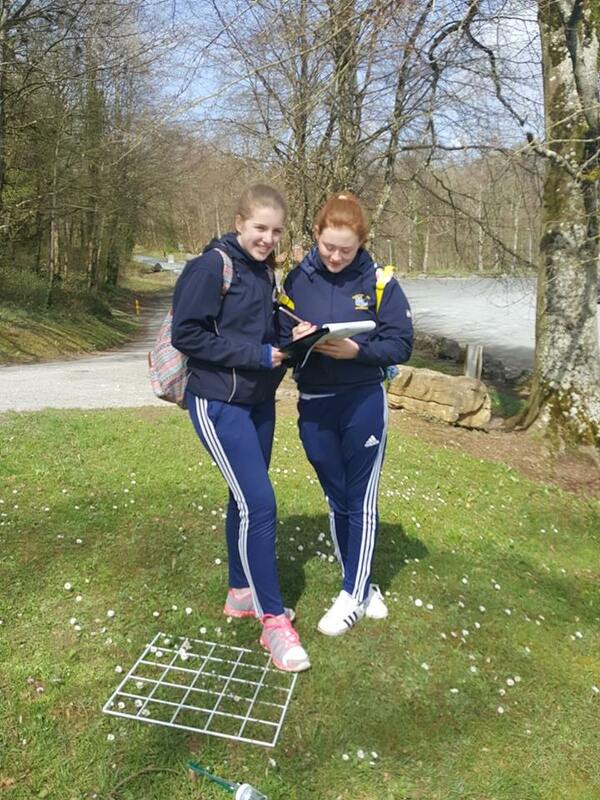 Salesian College have been actively involved with the Environment Education of An Taisce through the Green-Schools programme for the last twelve years. They are currently working on the Green-Schools Biodiversity Flag, so working on the LEAF Forests and Biodiversity Theme was an obvious choice. 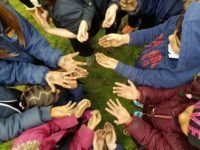 Thirty students in the 2nd year cohort participated in the LEAF School and Forest Based Workshops, they were accompanied by two Green Team teachers and two school SNA’s. 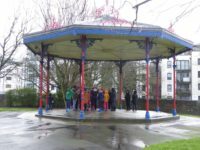 Students on the Green-School Team were also involved with the LEAF Programme. The Green Team kept the school community up to date with LEAF initiatives on their noticeboard and by updating the school weekly newsletter, website and Facebook page. The students work for the School and Forest Based Workshops were designed to link into the Junior Certificate curriculum as much as possible, especially to the biology section of the Science syllabus. 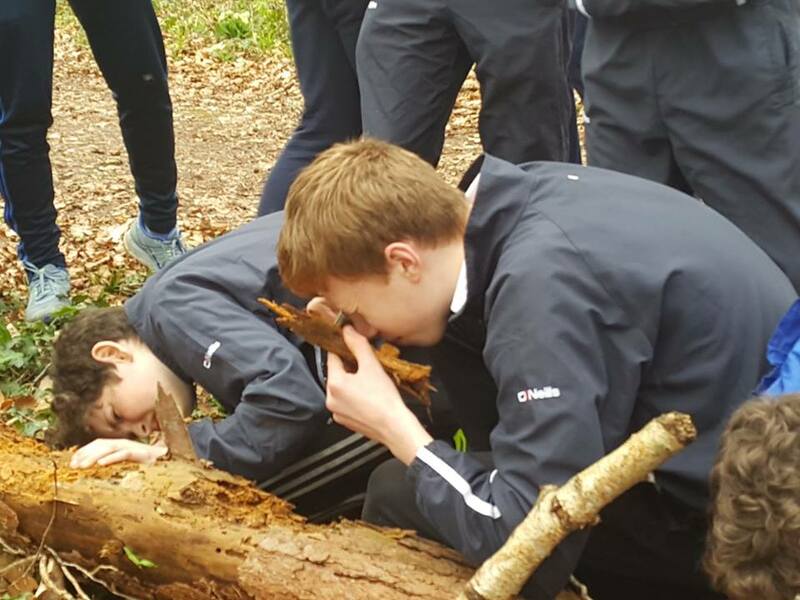 For their School Based Workshop, the students worked with LEAF Officer, Seán Hartigan to investigate and map the habitats, plant and animal species within the school grounds. 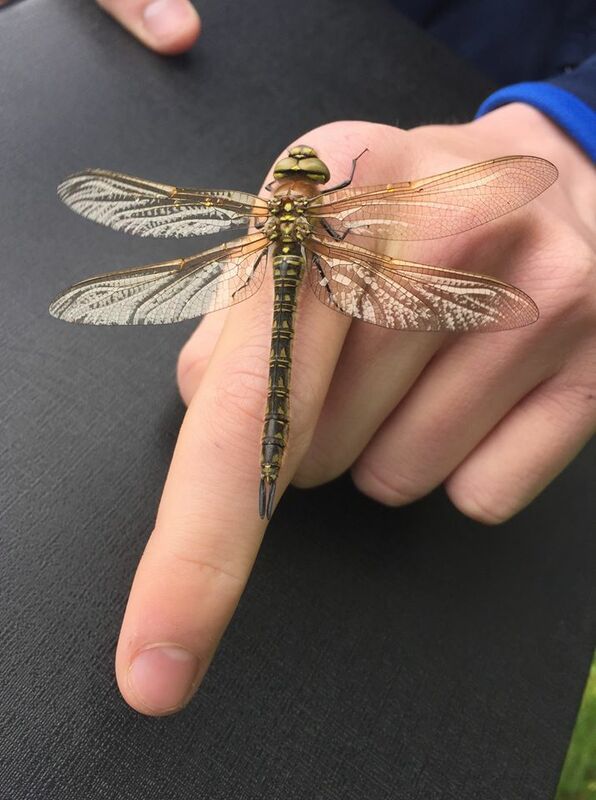 Students explored the agricultural land, hedges, tree lines and stone walls and were introduced to a large variety of native and introduced plants and animals. 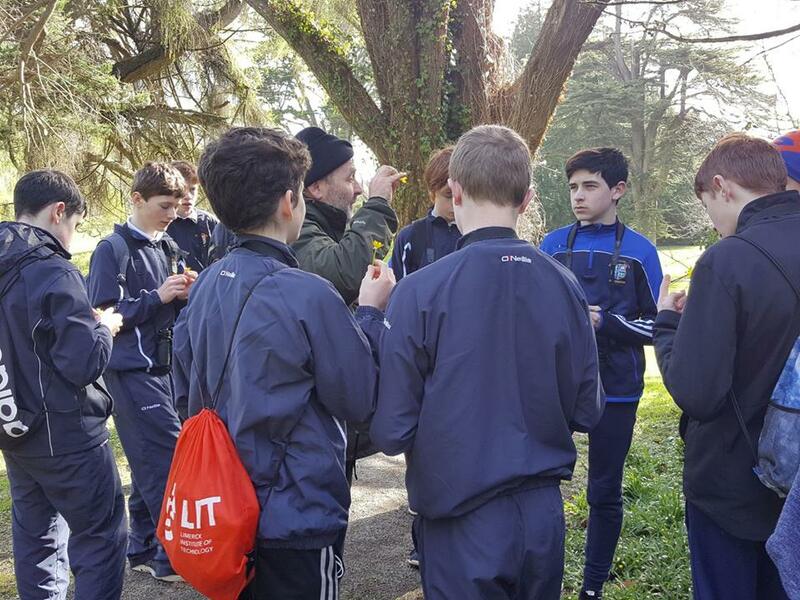 During the Forest Based Workshop students learned about the different species of trees, herbaceous plants, mammals, invertebrates and birds present in Coillte’s Curragh Chase Forest Park. They used binoculars to observe birdlife within the park, learned how to calculate the approximate height and age of a tree, used stethoscopes to listen to the sap flowing within the trunk of a tree and used eye lenses to observe the different microscopic species of flora and fauna within objects such as bark and fallen logs. Working In small groups, the students used quadrants, pooters, plant and animal identification keys to carry out an ecological survey, discover the food chains within the park and gain an understanding of the ecological web.